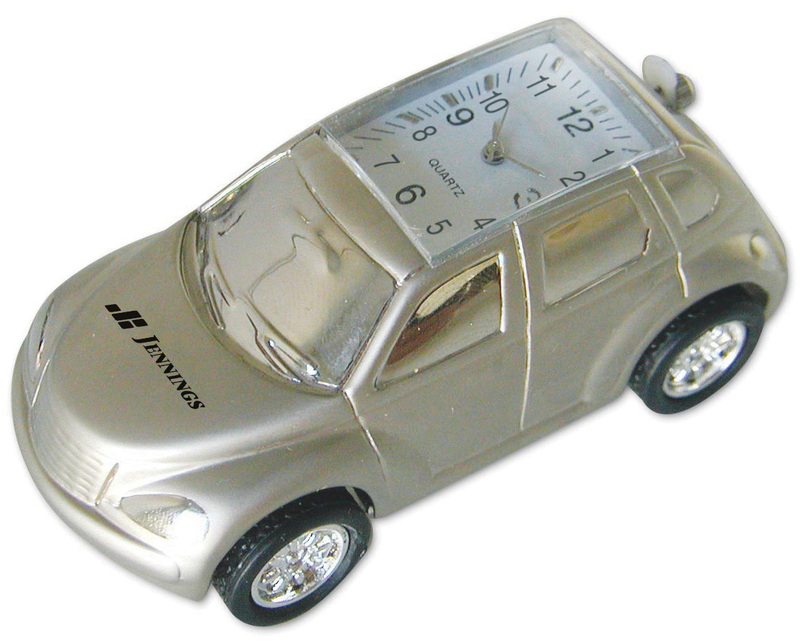 Metal Car Clock. Item size: L 3¨ x H 1 1/4¨ x W 1 3/8¨ Imprint area: H 1/8¨ x W 3/8¨ 100 pcs/32 lbs. Batteries: Included. Printing only availabe on face of clock. Set up for face printing $50 (v) plus $2 (v) per piece. Carton Size: 15" x 11" x 11"